Welcome to Kindergarten 2019 at Broulee Public School. Kindergarten is a year of tremendous growth where your child will develop a joy for learning through a wide range of stimulating, engaging and challenging lessons in a safe and supportive environment. This website is designed for you! Please refer to the Kinder Blog to keep up to date with what is going on in our classrooms. Feel free to use the form on the Contact Us page at any time should you have any queries about school, or if you would like to share any information with us. 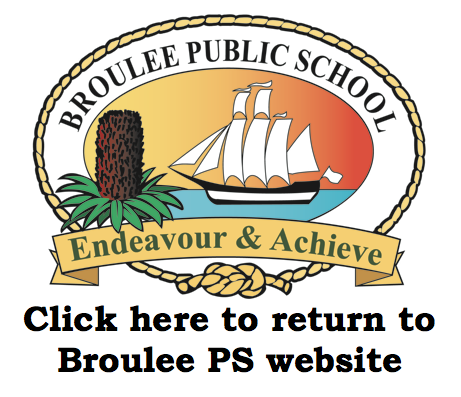 You can also inform us of any upcoming absences on the Absentee Notes page. Please phone the office directly should there be any changes to your child's pick up routine, as we will not be accessing our emails during the school day. Any notes sent home can be found on the Class Notes page for your reference. We hope this website is of help to you and we look forward to sharing in your child's learning throughout the coming year. Cathy West, Clare Dunn and Graham Enright.